CANBERRA, Australia — The world's biggest miner, BHP Billiton, on Tuesday reported a $6.4 billion loss — the Anglo-Australian company's worst ever full-year result — resulting from weak commodity prices, a plunge in the value of its U.S. shale oil assets and a costly dam disaster in Brazil. BHP said its revenue sank 31 percent in the fiscal year ending June 30, to $30.1 billion. It also took $4.9 billion in write downs of its U.S. oil and gas assets. 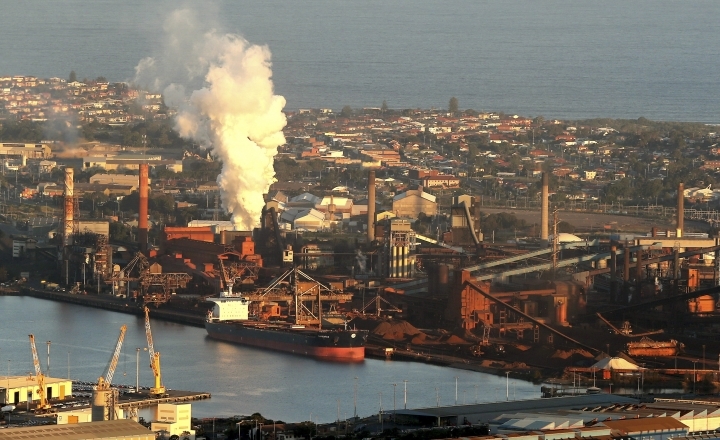 BHP chief executive Andrew Mackenzie said the year was a difficult one for his company and the resource industry. "We're clearly really disappointed with this result," said Mackenzie. But he noted that another performance measure, Earnings Before Interest, Taxes, Depreciation and Amortization — or EBITDA — "remained healthy" at $12.3 billion. "We are pleased by the strong cash generation of our assets which has resulted in a free cash flow of $3.4 billion," he said. BHP posted a $1.9 billion profit in the previous year, which was 14 percent of the $13.8 billion profit for 2013-14. Weaker commodity prices, which have gutted profits of many global resource companies including big Japanese trading houses, cost the company $10.7 billion last year. The Samarco dam failure cost the company $2.2 billion for the year. BHP chief financial officer Peter Beavan said the Samarco mine could possibly be reopened, but not this year. Gaurau Sodhi, a resource expert with Sydney-based share analysis firm Intelligent Investor, said BHP really needs oil prices to rise to post a better result in the current fiscal year. Oil prices fell by 47 percent in 2015, taking a huge toll. The World Bank has raised its 2016 forecast for crude oil prices to $41 per barrel from an earlier estimate of $37 per barrel, anticipating a recovery in demand. On Tuesday, Brent crude, which is used to price international oils, was trading at about $48 a barrel. But the outlook for most other major commodities remains uncertain, given the slowdown in China, whose industrial boom over the past few decades has driven much of the growth in demand.